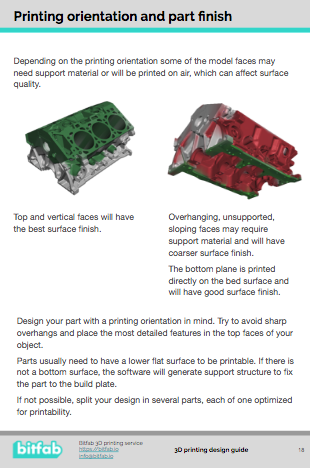 A compact ebook with tips and information on how to learn to design parts that can be 3D printed. 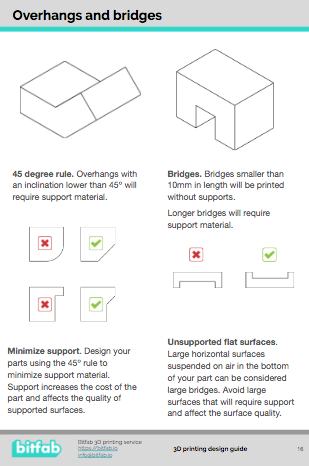 What parts can be produced with 3D printing? How are 3D printed parts priced? This book is for you if you already can design 3D models or you are currently learning to do 3D design. You can use any 3D design software to apply the information in this book, any 3D modelling or CAD program can export files for 3D printing. 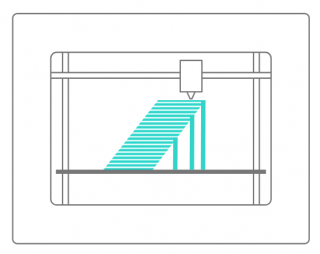 A short introduction to FDM 3D printing will introduce you to the basic concepts of the process so you can understand how your parts will be produced. 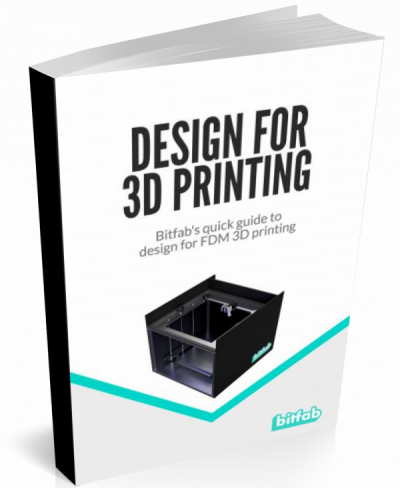 Then you have a collection of tips, rules and guidelines to help you adapt your designs to be 3D printable. You don’t need a lot of time to learn the content of this book. You’ll find that we have used a lot of images to clarify the concepts and make the content easier to grasp. This is the perfect source if you need to quickly adapt your 3D modelling skills to start designing 3D printable parts. Bigger parts can be printed on demand or spit in several print jobs. Small parts. Small parts less than 20 x 20 x 20 millimetres can be hard to print with FDM technology. Such small parts should have simple geometries in order to be printable. Large parts costs. Since the volume increases rapidly when scaling the part dimensions (volume increases with the cube of the length) very large parts are expensive to produce. When printing large parts we can offer costs optimizations such as large nozzles, higher layer heights, etc. 80% rule. 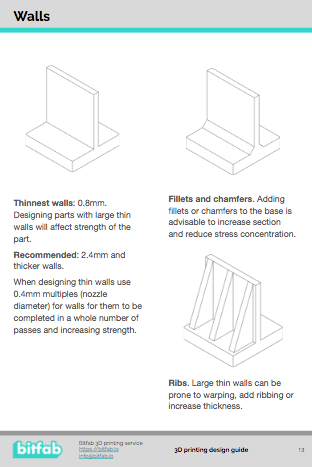 To reduce the part volume to approximately half, scale the part to 80% of the original dimensions. This is a measure to reduce costs of parts that can be scaled without affecting functionality (not very common in engineering parts). You still need your 3D parts printed! We are Bitfab, a 3D printing service with 6 years experience printing 3D parts. We can produce FDM, SLA and SLS parts for you and help you take advantage of the the benefits of 3D printing for your business. This book is open source, like a lot of the work we do at Bitfab. You can use the content, images, 3D models… All of them are published under a Creative Commons Attribution license in the project repo.